EZ Realty is an easy-to-use property listing component for Joomla content management systems. Also, just because something is easy to use doesn't mean you have to settle for little in the way of features or a low-quality presentation that requires hours of custom modifications. EZ Realty was designed with presentation in mind - to make your sales listings look great! It also doesn't matter what sort of site you want to run - EZ Realty has the flexibility to run a site for your own listings, multi-agent listings or a community sales portal offering free and/or paid listings - EZ Realty is PayPal/Setcom enabled to do it all! It takes a minute to install EZ Realty on your web server - and another couple to install the multitude of modules available. Yes, it's that quick to get things installed. EZ Realty is designed to meet the needs of multiple business models - from the single agent real estate business listing properties for sale, multi-agent businesses, and community sales portals offering FSBO listing services. Simply configure it to meet the needs of your business model. EZ Realty allows your sellers to promote their business, and share their contact details. Supports multiple contact methods, including direct contact, snail mail, email, telephone, SMS via Clickatell, and 3 online messaging systems. New in version 5.2.0 are profile privileges - enabling your members to manage more aspects of their listings such as publish/unpublish, skip the paid listings process, reset the expiry date and more. Profiling privileges are an excellent way to keep employees out of the backend - yet allow them certain privileges normally only accessible via the admin area. Turn your EZ Realty-powered site into a money-maker with the paid listings functionality. Two sales levels allow you to charge for upgrades from free listings to "premium" and "featured" listings - or run in paid listings only mode. EZ Realty currently has 2 payment processors to enable the automatic upgrades of paid listings - PayPal and Setcom - which should meet the needs of a wide variety of customers. Limit your listings based on page impressions or time - eg. 30 day listings. Easy to use "clean listings" function to remove expired listings, and email notification for expired listings. EZ Realty comes with support for SEF Advance, and also works on the core Mambo/Joomla SEF system - so you've got two SEF-friendly URL choices for your property listings. Also, add a meta description and meta keywords to your description, and the meta title is generated from existing data. Our SEF Partner Denis Dulici also offers a range of products - including sh404SEF, JoomSEF and X-Map addons for EZ Realty - so you're sure to find something to meet your SEF needs. Choose the opening page style that suits your needs. EZ Realty provides a choice of entry pages - the standard category layout, main search filter layout, or a combo layout which combines a compact search form, top localities and MLS/ID search field. It's easily configured via the EZ Realty admin configuration area. Version 5.2.0 introduced true multi-currency support. Run your site listings with a default currency set via the EZ Realty configuration area - or allow your members to list their properties in the currency of their choice. Don't miss sales opportunities just because you don't have a listing people want. The VIP Buyer's Register allows you to collect details of purchaser requirements, and display those on the front-end as a "wanted properties" listing page. Communicate with other members of the sales team on the status of a lead via the notes area, and send emails of listings matching requirements via the VIP email notifications. Emails sent to people on the VIP Buyer's Register contain a summary of key property information, an image and the seller details - as well as a link to the property listing and an unsubscribe link. Comes with Google mapping support built-in - which autocalculates decimal coordinates based on the property address, or allows you to enter your own coordinates - and supports driving directions and configurable map views. Two RSS 2.0 feeds - new property listings and open house days. Four feeds to external property listing sites to enable you to get broader exposure for your listings - Google, Vast, Oodle and PropSmart - with more on the way. Seamlessly tap into other components such as MyPMS or uddeIM for personal messaging, save newsletter subscribers directly to the Letterman newsletter component or export saved records for import into other systems, and promote user interactivity with the jReviews commenting and ratings system. More J1.5x newsletter component integrations are also on the way. Cross-browser "add to favourites" bookmarking function, recommend to friend email, print property details, contact seller/agent, add to mailing list request. Add to mailing list requests are now saved to database, and can be exported in XML format for import into a mailing list manager. EZ Realty has multi-lingual support - meaning it is coded with language tags and has a language file system to enable the translation of embedded page text. It also comes with a set of JoomFish and NokKaew content element files to enable you to translate the database content. EZ Realty has search filters, zip/postcode radius search, find property by ID/MLS ID #, keyword search, agent/seller search and more. It also comes standard with an Australian postcodes CSV file and a US zip codes database files ready to populate your database. As of version 5.2.0 - EZ Realty has a new system mambot/plugin to insert custom code into your template header, and a new module/plugin to insert custom code into the debug module position. This means you no longer need to worry about modifying your template with special code needed by EZ Realty's special features and addons. It's all handled via the automatic installer. Either the Mambo or Joomla! content management system - versions available for Mambo 4.6x, Joomla 1.0x and Joomla 1.5x native. MySQL database - tested on servers running versions 3.23.54 - 5.0.27-standard. IonCube encryption support. Most servers support this system, and you can download the free IonCube loaders from IonCube. Please ensure you've got the correct encryption support prior to purchase. Your server settings should also allow communication by EZ Realty with the Raptor Services licensing server. This is done via fsock by default, and we have a curl system available as a secondary option - as well as an alternative for servers that don't support either of these connections or if you're in any way concerned about the reliability of these connections. Storm Biz uses EZ Autos for our vehicle websites (R2500.00)! EZ Autos is an easy-to-use motor vehicle listing component for the Mambo/Joomla content management systems. Also, just because something is easy to use doesn't mean you have to settle for little in the way of features or a low-quality presentation that requires hours of custom modifications. EZ Autos was designed with presentation in mind - to make your sales listings look great! It also doesn't matter what sort of site you want to run - EZ Autos has the flexibility to run a site for your own listings, multi-dealer listings or a community sales portal offering free and/or paid listings - EZ Autos is PayPal IPN enabled to do it all! It takes a minute to install EZ Autos on your web server - and another couple to install the multitude of modules available. Yes, it's that quick. EZ Autos is designed to meet the needs of multiple business models - from the single dealer listing their motor vehicles for sale online, multi-dealer cooperatives, and community sales portals offering FSBO listing services. Simply configure it to meet the needs of your business model. EZ Autos allows your sellers to promote their business, and share their contact details. Supports multiple contact methods, including direct contact, snail mail, email, telephone, SMS via Clickatell, and 3 online messaging systems. Turn your EZ Autos-powered site into a money-maker with the paid listings functionality. Two sales levels allow you to charge for upgrades from free listings to "premium" and "featured" listings - or run in paid listings only mode. EZ Autos comes with support for SEF Advance, and also works on the core Mambo/Joomla SEF system - so you've got two SEF-friendly URL choices for your vehicle listings. Also, add a meta description and meta keywords to your description, and the meta title is generated from existing data. Don't miss sales opportunities just because you don't have a listing people want. The leads management systems allows you to collect details of purchaser requirements. Comes with Google and Yahoo mapping support built-in - your choice for your needs - or turn it off. EZ Autos mapping system displays both the property address of the vehicle seller - and supports driving directions. If you want to use the Google decimal coordinates system - then you can also display a map of where the vehicle is for sale. RSS 2.0 feed of new vehicle listings enables you to get your listings out to subscribers and other web sites easily. Cross-browser "add to favourites" bookmarking function, recommend to friend email, print vehicle details, contact seller/dealer, add to mailing list request. Add to mailing list requests are now saved to database, and can be exported in XML format for import into a mailing list manager. EZ Autos has multi-lingual support - meaning it is coded with language tags and has a language file system to enable the translation of embedded page text, and it comes with a set of JoomFish content element files to enable you to translate the database content. Comes with a range of modules to extend your site, including:- new vehicle listings, random vehicle listings, single featured vehicle listing, multiple featured vehicle listings, loan calculator, featured seller, latest sellers, large search filter, dealer/seller search by locality, image slideshow and a Community Builder plugin. New with the 5.1.0 stable version is the AutosMap component - a Google mapping component that displays your vehicle listings on a single map. The ability to send email using the built-in mosMail() function. This should make EZ Autos suitable for both Windows and *nix-type operating systems. IonCube encryption support. Most servers support this system, and you can download the free IonCube loaders from IonCube. You can also download our IonCube test file to ensure you've got the correct encryption support prior to purchase. Your server settings should also allow communication by EZ Autos with the Raptor Services licensing server. This is done via fsock by default, and we have a curl system available as a secondary option - as well as an alternative for servers that don't support these connections. Storm Biz Uses Joomcareer for our Recruitment Websites! JoomCareer is a Joomla! component, which allows to present job offers on the website. The visitor of the site can directly apply for the specific job or send a speculative application. Furthermore it is possible to register as firm and as candidate. Firms can insert and manage the job offers. Candidates can insert personal information. Storm Biz Uses SOBI Pro for business directories! With a wide range of additional SobiPro applications you can enhance your directories with a lot of features such as a review and rating or a notification system. Various module types are available to present your directory content in different ways. The real power of SobiPro is the amount of customization you have available for your specific website content needs. You can customize all output views of SobiPro through the powerful professional SobiPro template system. SobiPro comes with a default template which doesn't need any customisation. But if you want to set yourself apart from your competitor, design your own template for your directory or make your directory mobile ready by using a responsive SobiPro template! Besides the standard input box, which can be used for all kind of single-line texts you have a textarea field type available which can be used with or without a Wysiwyg editor. Use the single select list or the multiple select list field types to present pre-defined textual content. With checkbox groups and radio buttons you can define predefined selections to choose from. A specific email field type for email addresses and a URL field type for URL addresses is also available as an image field type. With the category field type you can add a category chooser to your input form. SobiPro comes with a set of 10 core field types! The list of the integrated core field types can be extended by installable field types1. Install a Calendar field to add date fields to your directory, let the date fields control the publishing states of an entry. Add a QR-CodeTM to the listings, or a GoogleTM Map. Let your users up- and download files, add tags to the listings or a contact form. The possibilities are endless and new field types will be developed in future. All custom field types have several settings to adjust them to your needs. Each custom field type can be used as often as you want. SobiPro introduced a new standard for directory components for Joomla! - The multi content feature! Manage all these different directories, which are called 'sections', easily from one administration panel. Each section has their own categories, entries, fields, templates, ACL rules and advanced search and sorting filters. SobiPro categories give you the ability to display your content in an unlimited nested category tree structure for easy organization and layout. Content can be assigned to multiple categories at the same time. You want to have un-categorised content? Simply assign your entries to a fixed invisible category. The integrated category field offers four different category selection methods: use the well known SigsiuTree or select your categories from a multiple select list, choose only one category from a single select list or use the fixed category choice method. Even it is possible to use the category field more than once! Entries are the content of a directory. Previews of the entries, so called vCards, are shown in various different listing views. Thus, a listing view is a collection of vCards. Different listing views are available to present selected vCards. A details view of an entry normally presents the full content. Freely choose which of your fields should be shown in the vCard and/or in the details view. The entry input form lets your user add an entry to your directory and the search form lets your visitors filter the content. All views can by freely designed by the usage of the integrated SobiPro template system. 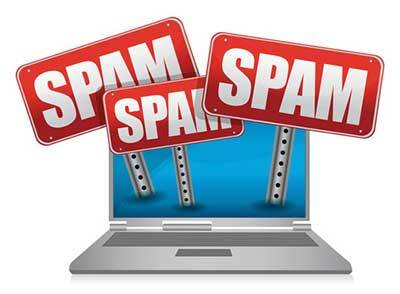 Do you want to have your users to enter only a number or an email address or any formatted text? No problem with SobiPro. SobiPro lets you verify the content your users enter before it got saved. Select one of the 10 predefined filters or create your own customised filter using regular expressions. Use the range search for numbers and the general search box for a quick list of results for a specific word or phrase. Use the Category filter to restrict the search to specific categories. SobiPro features a comfortable Alpha index, which let you filter your entries by letters. But not only the entry title can be used as a filter criterion. You can add each field of type input or select list to filter your content. Your users can choose the filter criterion from a dropdown box right beside the letters list. The SobiPro ACL does not override the Joomla! ACL, but instead, complements it by allowing you to create different front-end permission rules for specific user groups and for specific directories. This allows you to control what users can do in your directories, from access to editing, viewing, searching, creation to approval, even allowing a specific group to edit admin fields or skip payments. In combination with a subscription component like Akeeba Subs, you may charge your users for access. Let your users create entries through the front-end of your website using a designable input form. Once an entry has been submitted, you can choose to have it auto-publish or after an admin approves the entry. Design your directory with CSS! SobiPro comes with a automated default template, which doesn't need to be changed when adding your own fields. All elements of SobiPro output are equipped with CSS classes. Additionally, in the Fields Manager you can assign your own CSS classes to each field. With the integrated CSS editor, you can style the layout of your fields in the different views of your directory. No need to touch the template files! 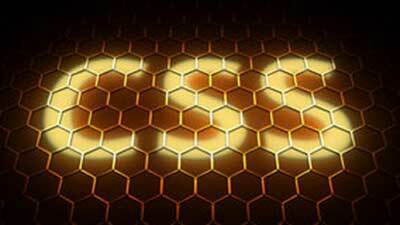 Best suited for beginners - only basic CSS skills are necessary. Flexible template design with XSL! By creating your own SobiPro template, you can customize every single page of your directories. From the header of a directory main page, to the individual search form and listings. Every view has a template in SobiPro. No core hacks are needed to make your content look exactly like you want it to. The output of SobiPro is XML data, and uses a mixture of XSL, HTML and CSS to get styled. As a web designer you would feel comfortable to edit the template files directly to make use of the flexibility of XSL and HTML. 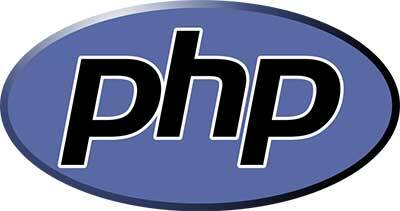 Advanced template modifications with own PHP scripts! But that's not all. 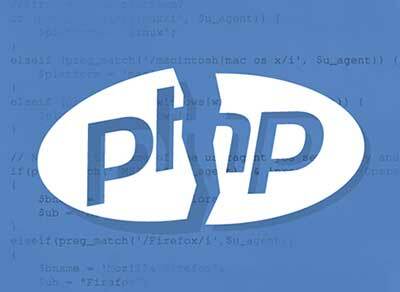 If you are a developer, you can add your own PHP code to get executed within the templates. With this, the possibilities are endless and still no SobiPro core code needs to be changed! Each of your directories (sections) has its own set of template files including their own CSS files, which means you can style them completely separately and different. SobiPro even has a built in HTML/XSL editor in the administration area so you can make changes to the template files without the need of separate code editing software. Applications, or in short 'apps', extend the core SobiPro component to include additional features and functionality. SobiPro comes with an built-in application manager which allows to install additional apps. With this feature, the possibilities are infinite. Use the application manager to install also additional field types, language packages, custom templates, modules or even SobiPro core updates. You prefer a 1-click installation? Use the SobiPro repository. From a list of all available applications, just select your app1 and you're done. SobiPro features context sensitive help. That means, if you are on a specific screen in SobiPro administration panel and press the 'Help' button, you will get redirected to SobiPro documentation with the right topics already found. You do not need to search the whole documentation to get the description5 of what you are looking for. SobiPro helps you to earn money with your website on different levels. The simplest method is to set some fields not to be free. Your users want to have their website addresses listed in your directory? Let them pay a few bucks for it. On template level you can group several fields together to offer price packages. You can create membership levels such as Bronze, Silver or Gold. SobiPro already includes a basic Paypal payment system. More payment systems will follow in future. Combine SobiPro with a subscription component such as Akeeba Subs and sell access to your content on Joomla! user group level. The Contact Form field2 offers you the possibility to create any kind of contact form. Let your visitors get in contact with the entry's author, report a listing or claim a listing. If you provide a restaurants guide, show a reservation form. This field gives you the possibility to create any kind of form and send the filled in form via email to the author of the form, to the author of the listing, to the site administrator or any other email address. According to tests of a known hosting provider, SobiPro 1.1 is again faster than SobiPro 1.0, especially in combination with Joomla! 3. SobiPro 1.1 is available for Joomla! 2.5 and Joomla! 3.0./3.1 and has Bootstrap integrated even on Joomla! 2.5. The administration panel of SobiPro is completely built with Bootstrap. Design your SobiPro directories mobile friendly! Due to the fact that you have full control over the visual design you can create a mobile site using Bootstrap or any other techniques! SobiPro 1.04 is available for those of you who still need to use Joomla! 1.5. SobiPro features native multi-language support. Translate your content just as fields and categories easily within SobiPro administration panel. Front-end content is added automatically in the language of the registered user. SobiPro is already translated to more than 25 different languages. New translations will follow continuously. If your language is missing, feel free to join our translation team and participate in translating SobiPro into your language. SobiPro comes with English translation files. If other languages are installed, texts with missing translations are shown always in English language due to the integrated pre-load of the English language3.